Do you know your points plus allowance with Weight Watchers Plus method? If you are a member and opted to stay on this plan versus switching to the SmartPoints, then you need to know your allowance in order to lose weight. In order to reach your weight loss goal you will need to stay within your daily and weekly allowance. Many people may be in a bit of a panic with the this calculation. Most foods calculate out to a higher value than with the original plan. Sure you have free veggies and fruits, but you still want some other foods in the mix. Well, before you get too worried, another major change in the points plus system is the number of points allowed. Although foods points are generally higher than the old system, most people's daily allowance points are up as well. So don't fret. You can still eat some of your favorite foods, stay within your allowance and lose weight with the Weight Watchers Points Plus system. How you choose to use these points are entirely up to you. It is not required to use these at all. So, if by the end of the week you didn't need these points, then great...not a problem. If however you found yourself short of points for a particular day, then by all means dip into the weekly points plus allowance. The only rule with the weekly points is that they do not roll over into the next week. That means you start fresh each week with just the 49 points. Don't add what you have left from the previous week into the next week. That's it. Short and simple on the weekly allowance. Another change from the original points plan to the plus method is the daily allowance. Many people are worried that with the higher points values on many foods that they won't have enough daily allowance to eat and feel full. Well not to fret, another change with this system is your daily allowance. The details of the daily allowance calculation is long and convoluted and is explained in great detail further in this article. For now, I will just highlight the daily allowance. First, just like with the old system, there is a minimum and maximum points allowance. The minimum is 26 with the max set at 71. So no matter what your old daily allowance was it will not be lower than 26 or greater than 71 with the plus plan. The same factors are used in the new calculation - gender, age, weight and height. However, it is not as simple as the old method where you add up points based on answers to what your age is, how much you weight, etc. Just know that these same variables are in place when determining your new allowance. Another question many have is do they have to use up all their points for the day. Well, according to my Weight Watchers leader, no you don't. So if your allowance is set to 35 for the day and you only consume 32, that's okay. Just make sure you are not going hungry. Remember the points are there for you to use if you need them. While the allowance is fairly easy to get from meetings or online, the formula itself is a bit more complicated to say the least. The first step in the points plus allowance calculation is determining the TEE. TEE is the total energy expenditure. This step will use your current age, weight (in kilograms) and height (in meters). There is a separate formula for men versus women. The PA in the formula represents the Physical Activity level. For purposes of the TEE, the activity level for men is set at 1.12 and women at 1.14. The formula assumes a low activity level for all in the below formula. Let's take an example for this first calculation. For instance, a 45 year old man weighing 245 lbs and is 5'9" tall, the first step would be to convert the lbs to kg and total inches to meters. 1 pound = 0.45359237. To simplify this we will use 0.454. 1 inch = 0.0254 meters. So to begin this example, let's first convert the weight and height. To convert the height to meters, you must first convert the feet to inches. To do this simply multiply 12 by the feet. Then add in the additional inches to get the total. Once you have the total, multiply it by the 0.254 to get the meters. In the above formula, 45 is the age, 1.12 is the activity level for men, 111.23 is his weight in kg and 1.75 is the height in meters. Let's complete the formula in steps. Below is the next step, using the age, wgt and ht to complete those portions. Now let's do the next step adding together the results of the weight and height (the piece in the parentheses). Now we can complete the last step, remembering to do the multiplication first then the addition and subtraction pieces. So the TEE for this example is 3181.49. We are ready for the next formula. ATEE = TEE - (TEE x .10) + 200. Per the Europeon Patent Office website "The published methods assume a 10 percent conversion cost regardless of the types and amounts of nutrients consumed; consequently, TEE is adjusted by subtracting 10 percent of the calculated TEE." Additionally, foods are given a zero energy content (our freebie veggies and fruits), however these foods do in fact contain an energy content. So, the TEE is also adjusted for these items which generally fall within a range of 150 to 250 kilograms. For purposes of the ATEE, this amount is normalized using 200 kg. So this man's ATEE would be 3063.34. We are not done yet. Now it's time for the next step and the next formula. The next steps for the points plus allowance calculation is finding the target and the modified target. You will use the information from the previous step, Adjusted Total Energy Expenditure (ATEE). Now we are ready to determine the target. While this step sounds like it is the last one, it's not. Remember I said this was a complicated process and this is where things get a bit fuzzy. Before diving into the target formula, I want to mention a few things. First, like with the old points system the points plus method also has a minimum and maximum daily points plus allowance. These are 26 (min) and 71 (max). Target = round (1000 / 35) or 29 daily points plus allowance. As of 1/1/2012, the minimum is now 26 pts. The new minimum is determined in the next formula steps, therefore this formula apparently stayed the same. Note As of 1/1/2012, the min was decreased from 29 pts to 26 pts. The formula below is based on the original 29 pts minimum. However, these are the min/max as reported for the formula. Target = round (2500 / 35) or 71 daily points plus allowance. Target = round 2063.34 / 35 = 59 points plus allowance. For this example, the Target is 59. As mentioned above, this is not the final daily allowance. Although you would think it would stop here, there is yet another (and even more fuzzy) component to determine a person's final daily allowance. This last formula, the modified target, is based on "Weight Watchers boards discussing the patent and identifying an additional constant offset from the patent by a value of 11 in the middle of the points range, or 7 + 4." If your ATEE minus 1000 is less than 1000, then use 1000. However, if your ATEE - 1000 is greater than 1000, then use the actual for this final formula. If the results are more than the 71, then you would set your allowance to the 71 max value. If your results are below 26, then you would set the minimum to the 26 points plus allowance. round ((3800 - 1000) / 35) - 4 - 7 = 69 points plus daily allowance. Using the above example, the original target formula results in 80 points. However, with the modified target formula, by taking into consideration the offset of the 11 points, the final daily target is 69. Remember that 3063.34 is his ATEE and since his ATEE minus a 1,000 is above the minimum level, we will just use the actual numbers and do not have to use the min of 1,000. Modified Target = round (2063.34 / 35) - 4 - 7 = 48 points plus allowance. So for our example, his final (modified) daily allowance target is 48 points. You may be wondering why you couldn't just take the results from the target and minus it by 11 to get this modified target allowance. Well below are examples of where this would not work. For this first example, let's assume the person's target calculated out to 36 points. If we simply use the logic of target - 11 to get the modified, then this person's new modified target would be 25 points. Since this is below the min daily points plus allowance, then this simplified formula would not work. In this case the points would be set to 26 so as not to be below the minimum allowed. The other example is for when the results are outside the min/max range. Let's say a person's target came out to 85 points. If we simply took this minus 11, then the modified target would be 74 which is higher than the max allowance allowed. Use this free online Weight Watchers points plus calculator to find the values in the foods you eat. 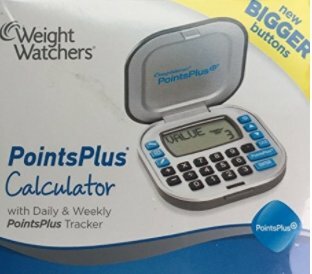 If you don't have the new points plus calculator or don't use the e-tools, then use this online Weight Watchers points allowance calculator. As you probably know, to calculate the points values for foods you use fat, carbs, fiber and protein. But what do you use when it comes to the spirits? Find out the points values for the menu items at some of the most popular restaurants. Eat out knowing you can stay within your daily and weekly allowance. If you are counting calories instead of points, then check out this downloadable spreadsheet. 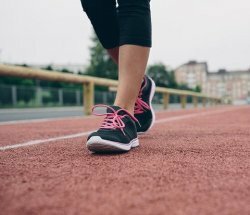 You can track calories consumed and exercise calories. Come complete with charts so you can see your weight loss progress.